Internet Explorer 9 is finally available in final form to the general public, and we’re pleased to say that it represents a big leap forward for Microsoft’s web browser. 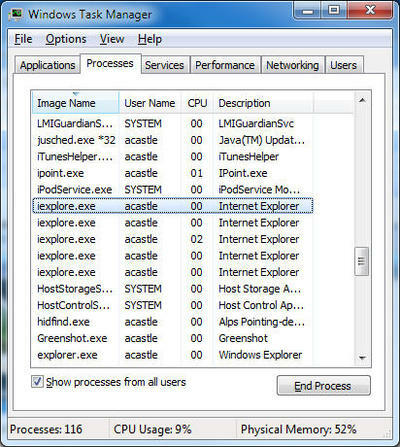 We know that many of you readers have gotten turned off to IE in recent years (and understandably so) but Internet Explorer is suddenly a lot more competitive, and worth a look. 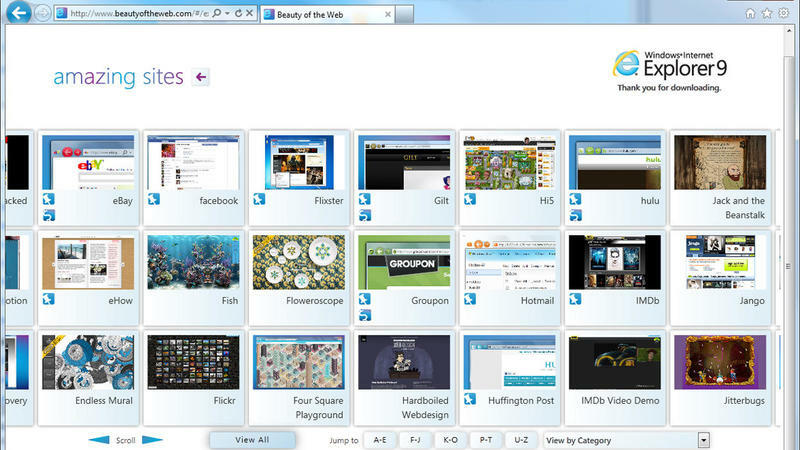 We recommend you try it for yourself (sorry XP users, Vista and Windows 7 only), but in case you’re still on the fence, we’ve prepared a visual guide to our 10 favorite new features in Internet Explorer 9. Read on for more info! Cleaner Interface: IE9 does away with a lot of the clutter, moving the address bar, tabs, and navigation buttons onto a single row. 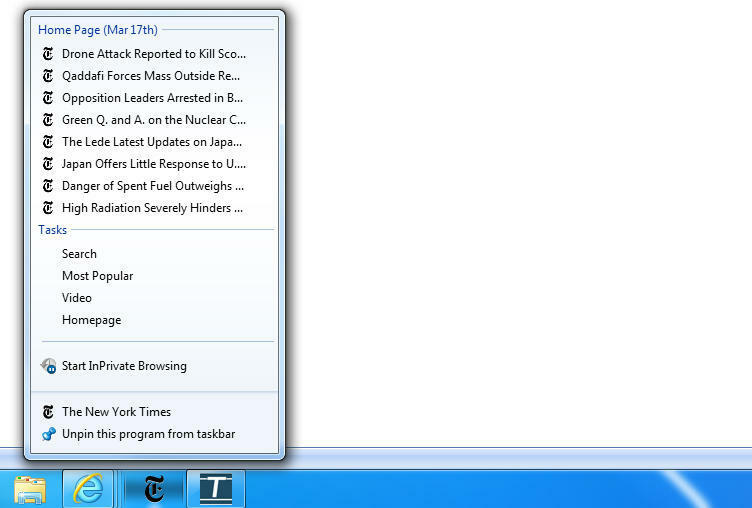 Tab Pinning: In Internet Explorer 9, tabs can be pinned to the Windows 7 task bar, just like programs. Better yet, right clicking on the task bar icon brings up a jumplist for quick navigation around the website (if that feature is supported). Tab Isolation: A great feature first seen in Chrome, tab isolation means that each tab runs as its own process on your computer meaning that (in theory) if one crashes, it doesn’t take down all the rest with it. Smaller Notifications: The new notifications display in IE9 is less intrusive, but still easy-to-spot. Download Manager: Hooray! 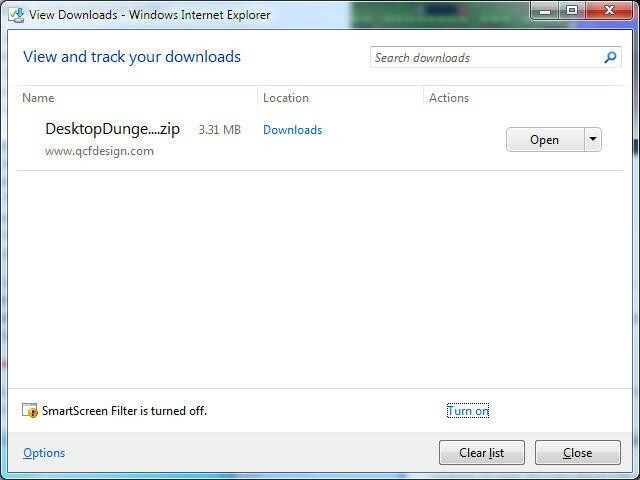 Microsoft joins the 21st century with a built-in download manager in IE9. 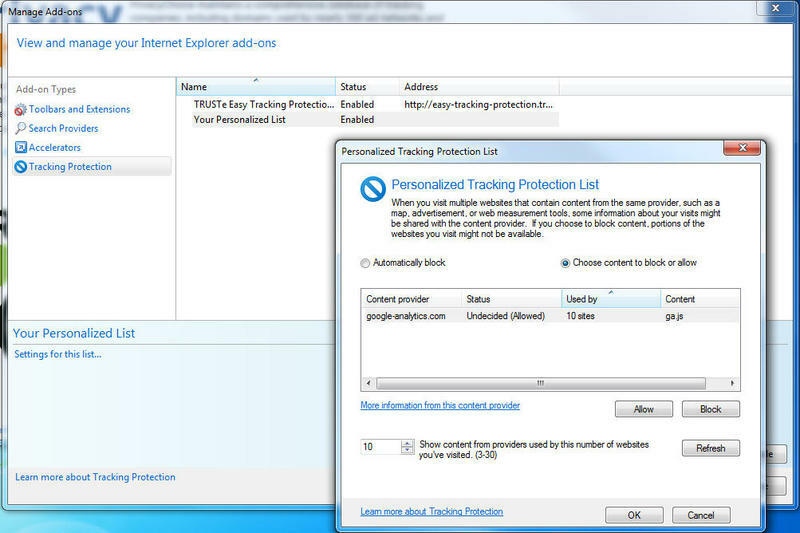 Tracking Protection Lists: IE9 makes it easy to keep websites from tracking your browsing habits using tracking protection lists. You can download a tracking protection list from a trusted security company, or create your own. 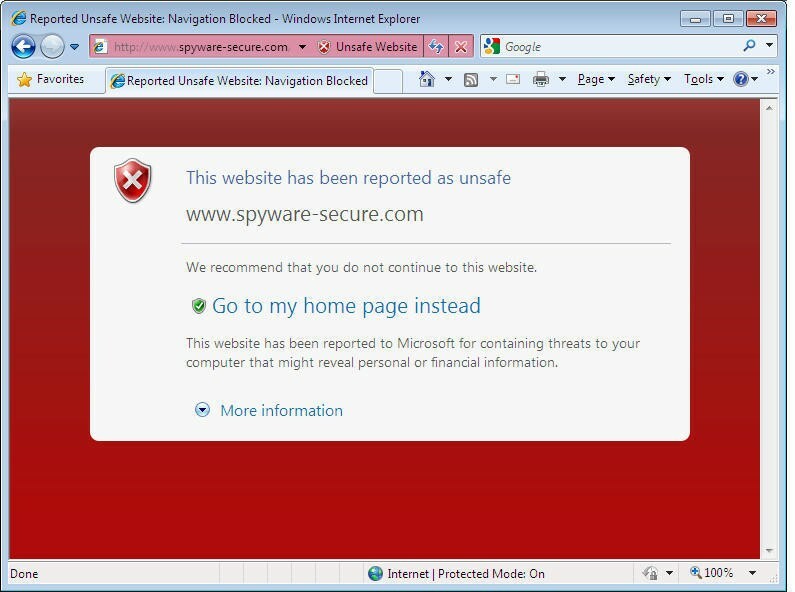 SmartScreen Filter: If you’re setting up Internet Explorer for someone who’s a little on the gullible side, you’ll appreciate the optional SmartScreen Filter, which verifies URLs against Microsoft’s blacklist and blocks known malicious sites. One Box: Another feature done first in Chrome (but still nice to see) One Box combines the address and search bar into one. 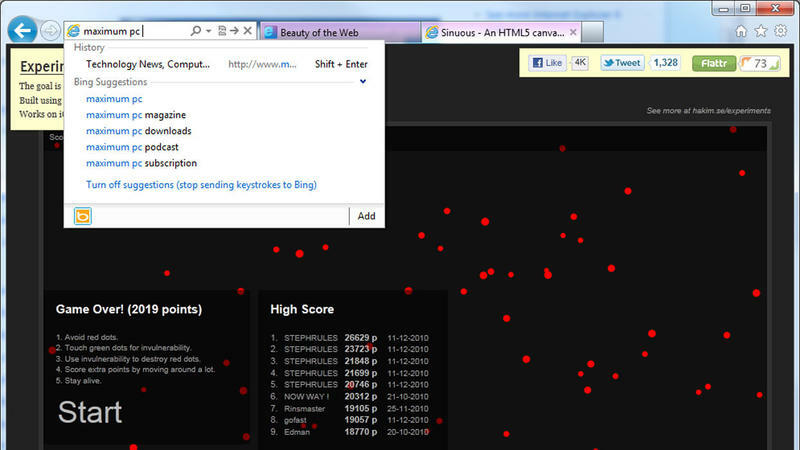 Bing is the default, of course, but you can switch to Google, if that’s your thing. 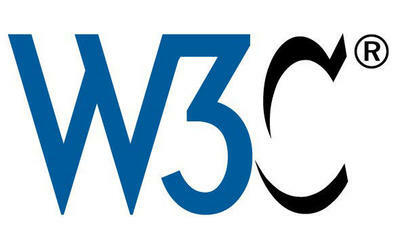 Standards Compliance: Internet Explorer 9 implements a lot of the new HTML 5 standards, including embedded video and audio, canvas, and SVG. 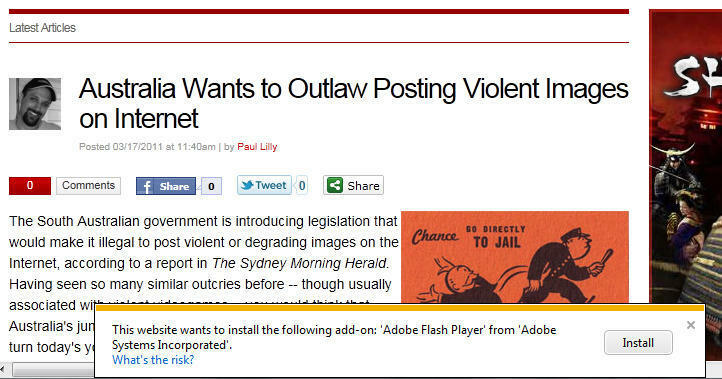 Original post by Alex Castle – Reposted thanks to Maximum PC. Covering everything from hi-end gaming PCs to tablets, peripherals and home theater rigs, Maximum PC’s print and Web editions stay one step ahead of the fast-changing world of everything computer and computing related. 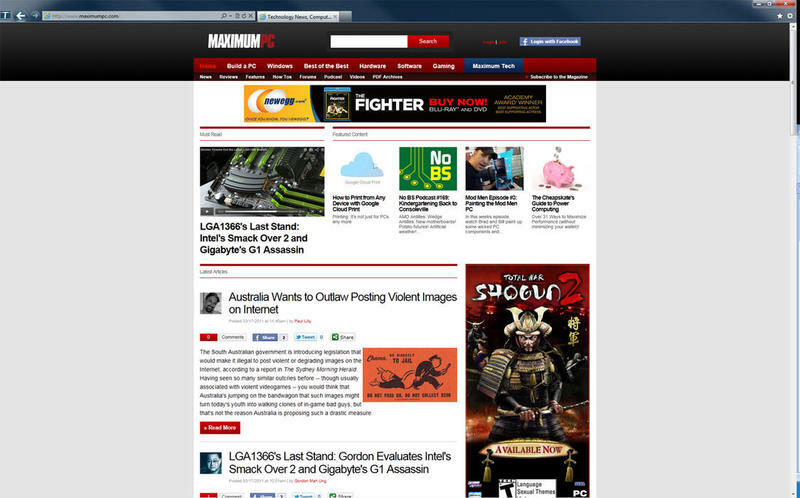 Whether its the latest on building your own desktop system, reviews of the latest laptops and accessories, or roundups of the games and software that make your machine go, Maximum PC brings it to you with news, reviews, and years of expertise. TechnoBuffalo is thrilled to bring you the best of Maximum PC right here on our own pages to keep you immersed in all things digital.